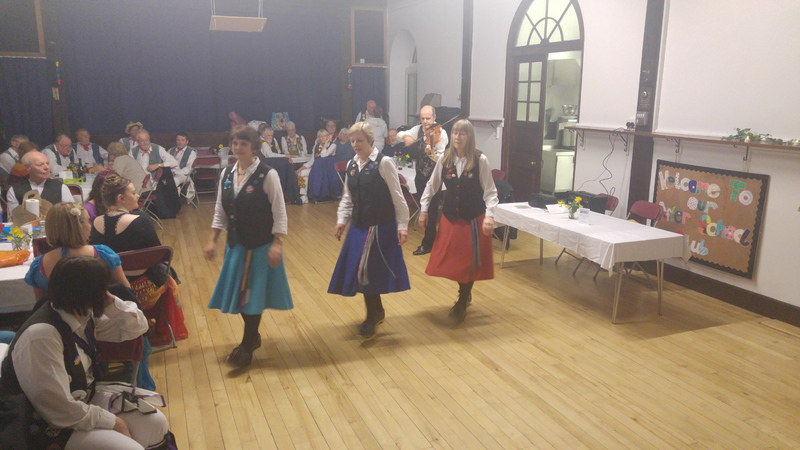 Monday’s not a usual evening for an ale, so it was a barely quorate Havoc – 4 dancers and 1 musician – that headed out to East Challow on Monday 21st March for what sounded like a low key Winter Ale hosted by Cornucopia Appachalatian Dance. Only a £1, snacks provided, bring your own drinks. 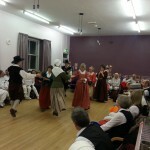 In fact, it was a very jolly evening. 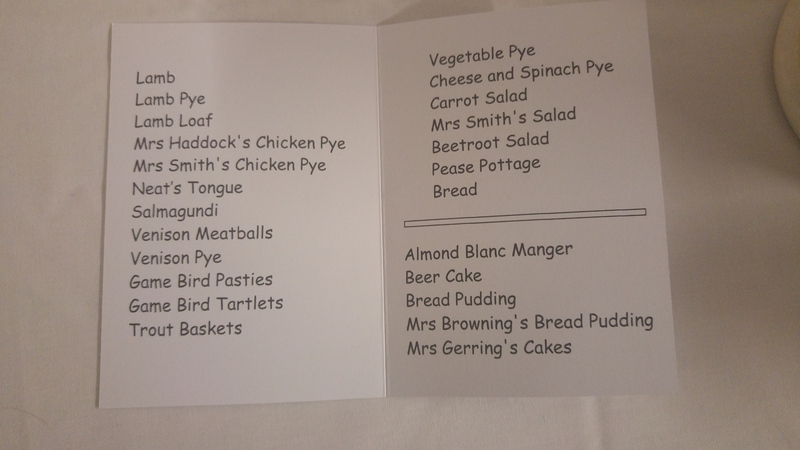 The promised snacks turned out to be considerably more substantial that we’d expected, and I have to mention a particularly fine ginger cake. 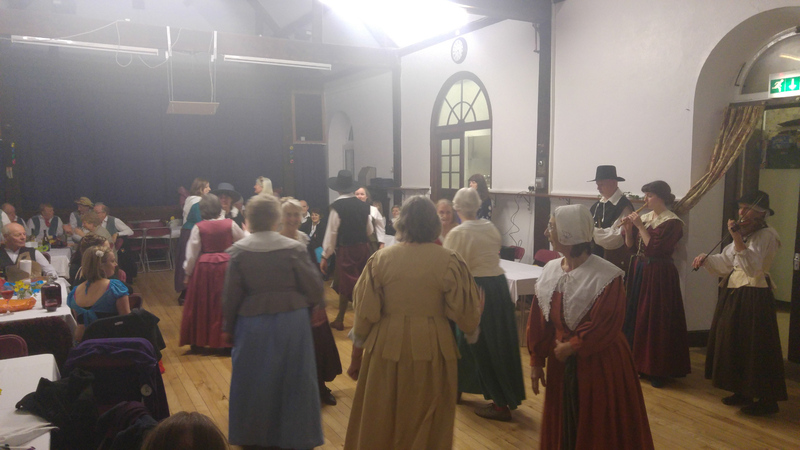 Unusually, dancing did not stop for food, so everyone ended up doing 5 dances. 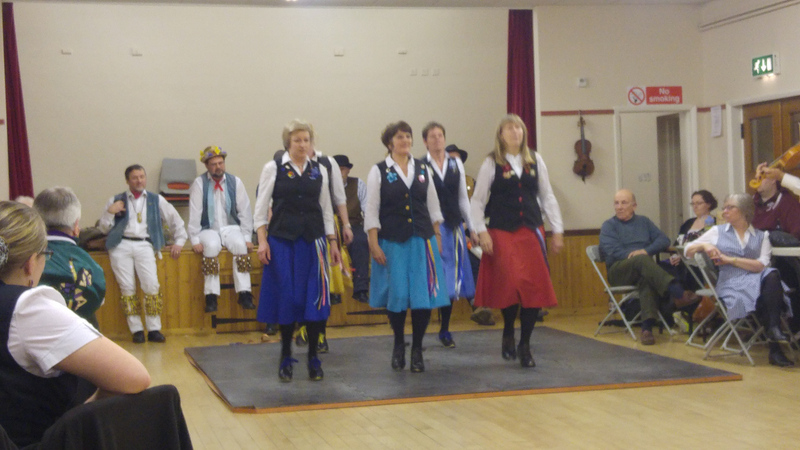 Luckily, we were joined by familiar faces from Icknield, Ridgeway Clog and , plus a side new to me at least, Garston Gallopers, so we got a fair break between dances. 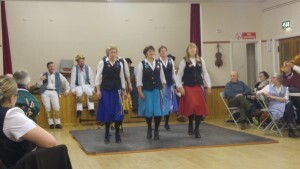 With only four dancers, we had to adapt our dances down from the usual 6 or 8. In most cases this was straightforward, but a reduced Vandals of Hammerwich did require a careful run-through of the hay with coins on the table before we tried it. And, slightly surprisingly for all, it worked first time. There being nobody spare from Havoc to hold a camera, you’ll just have make do with pictures of the other sides. This entry was posted in Ales on March 22, 2016 by Jim Hague. Saturday March 12th, and it’s one of the highlights of the Havoc year for your correspondent. The Vale Islanders Ale. The Vale Ale is always a good do. 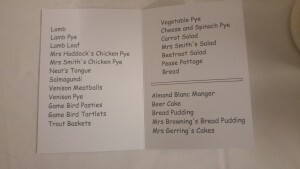 I have to confess that a major attraction is the 17th century dinner they provide! We shared the evening with some familiar faces from Icknield Morris, Owlswick, Ridgeway Clog and Hazzaz Belly Dancers from Witney. It’s the evening of Valentines Day, and all the restaurants are full and charging outrageous prices. What are you to do? Go to the Oxford City Ale instead, of course. 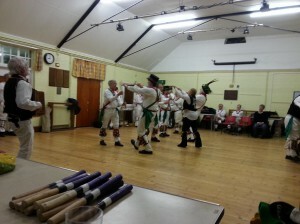 As usual for an Ale, there was a couple of rounds of dancing. 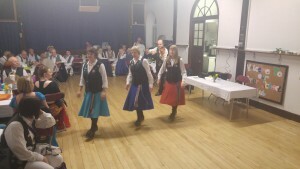 Slightly unusually, everyone had to do two dances per rotation, which meant a bit of frantic calculation as we’d only come prepared for two dances. We only just had enough people too, so nobody spare to take photos. 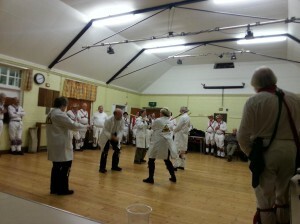 Lepton Morris testing stick resilience at the Oxford City Ale 2015. 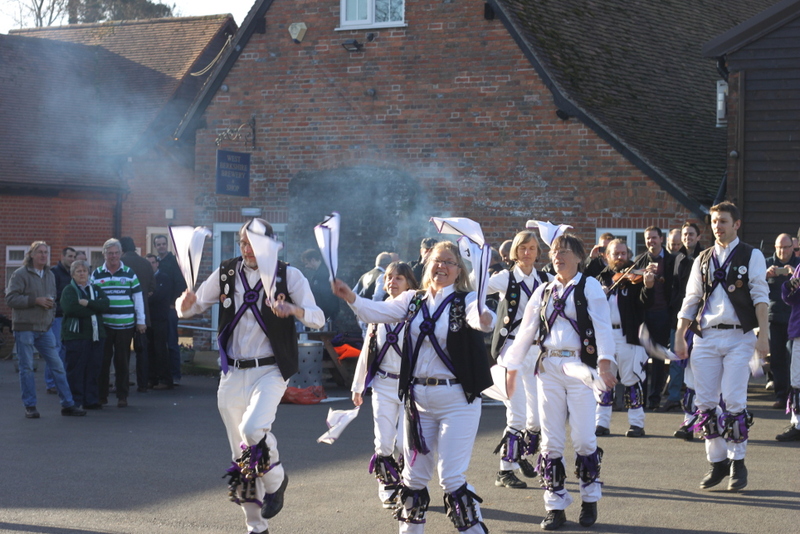 But we managed a very respectable Sidesteps, Constant Billy, Banbury Bill and finished with an enthusiastic Vandals, aided by an interloper borrowed from Wolvercote. 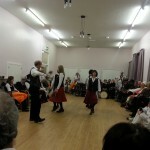 Charlbury added a melodeon to the music for Vandals, too. 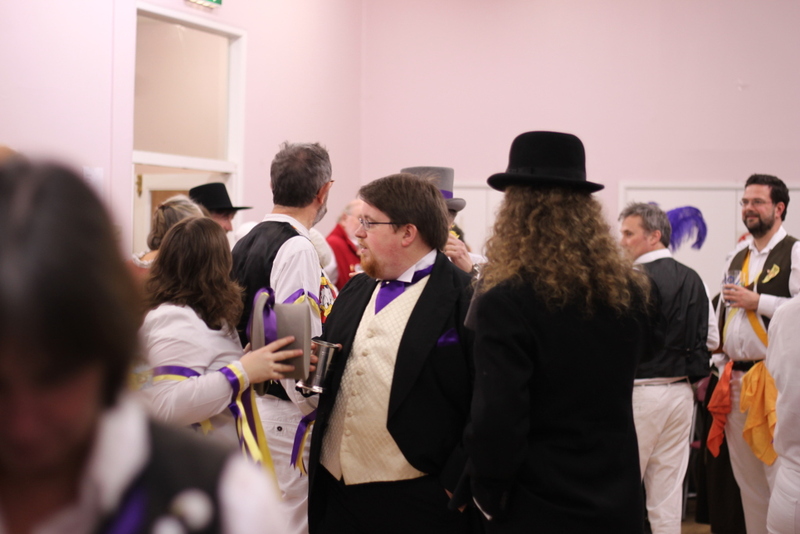 Charlbury Morris plus an interloper from Wolvercote Morris, at the Oxford City Ale 2015. 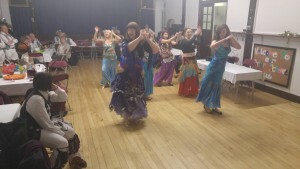 Well done to Nerys for doing all the dances. Pretty good going when you only started in September. And thanks to Audrey and Steve for the music, and for Rolling Home our spot. This entry was posted in Ales on February 19, 2015 by Jim Hague. Local 17th Century dance side The Vale Islanders held their annual Ale on March 1st. Despite a perfect storm of clashing diary entries, we got together enough Havocs to appear, and a fine time ensued. 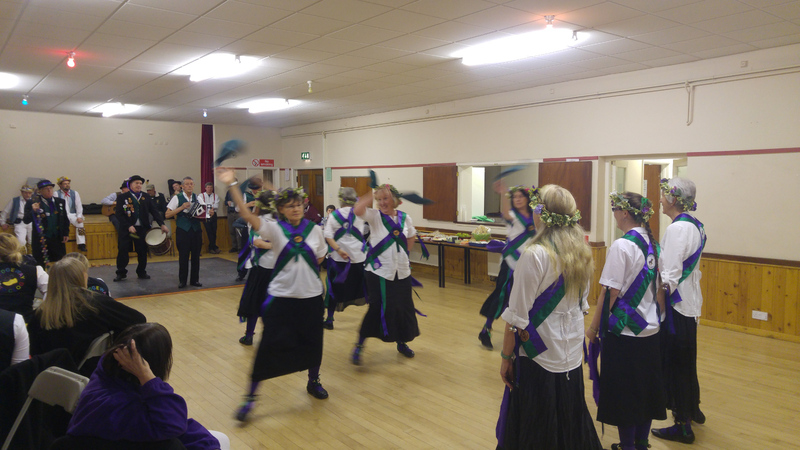 We danced our old standbys Banbury Bill and Constant Billy, and then four intrepid Havocs joined Owslwick Morris for a Vandals of Hammerwich. As can happen when you mix two sides, it turned out that both knew basically the same dance, but had some rather different ideas in the final figure, at which point much confusion ensued. Much to the credit of all concerned, everyone had somehow recovered to the correct position by the end of the figure. I’m really not quite sure how. And then the food. This is a highlight of the Vale Ale, being authentic 17th Century food prepared by the Islanders themselves. 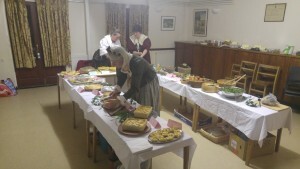 Our annual chance to gorge on pease pudding and other delicacies. All washed down with West Berks Good Old Boy. 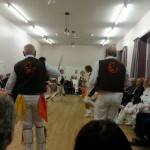 Unfortunately we managed forget to bring a decent camera, so the pictures are from Jim’s phone. Which does not do a good job in low light. This entry was posted in Ales on March 14, 2014 by Jim Hague. This entry was posted in Ales, Dance Outs on December 14, 2013 by Jim Hague. 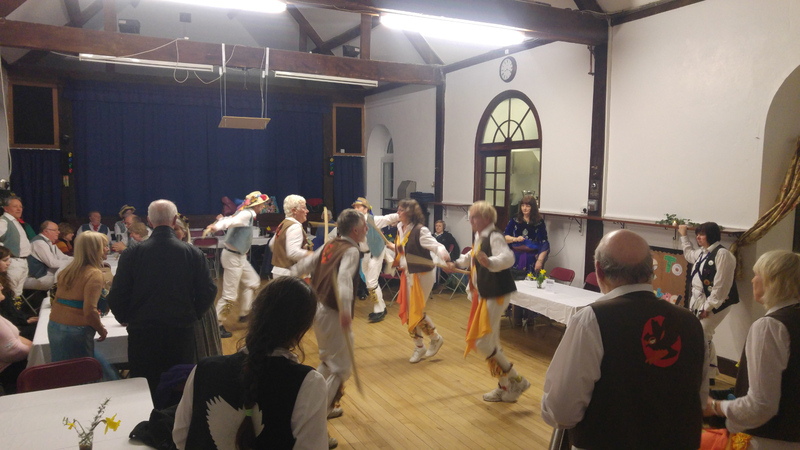 This Saturday was a busy day for Cry Havoc, performing at the West Berkshire brewery open day, and attending Ducklington’s ale in the evening. 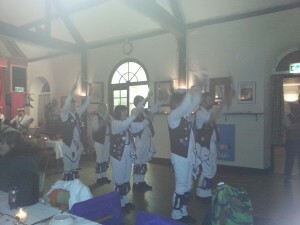 In the morning, we were treated to a tour of the brewery, and danced spots before and after a barbecue lunch. 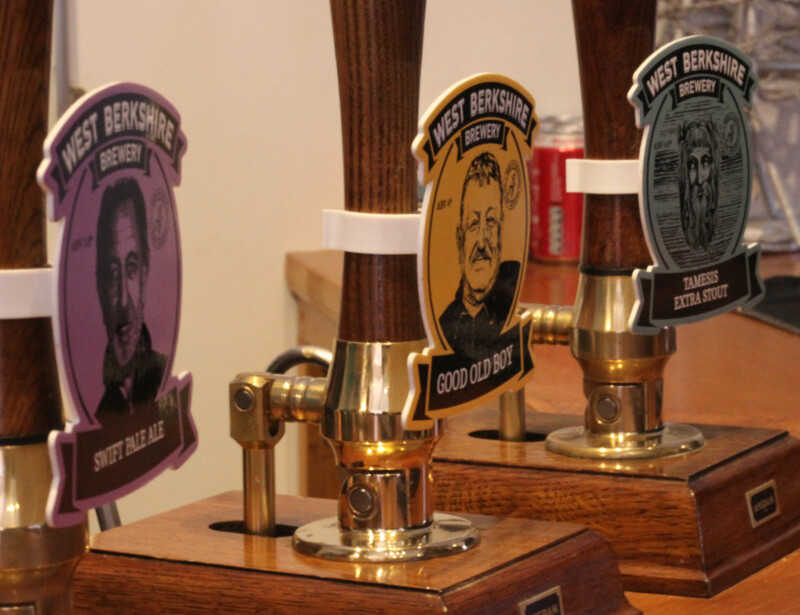 Best of all, we were able to sample some of the brewery’s finest! 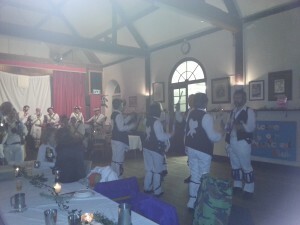 Many thanks to Dave, Helen and the team for making us so welcome. Beers at the West Berks. brewery: shown here, Swift pale ale, Good old boy and Tamesis extra stout; also available were Isis pilsner, Old father Thames and Braggart. After a couple of hours rest in the early evening, we headed off to Ducklington village hall for the village side’s winter ale. 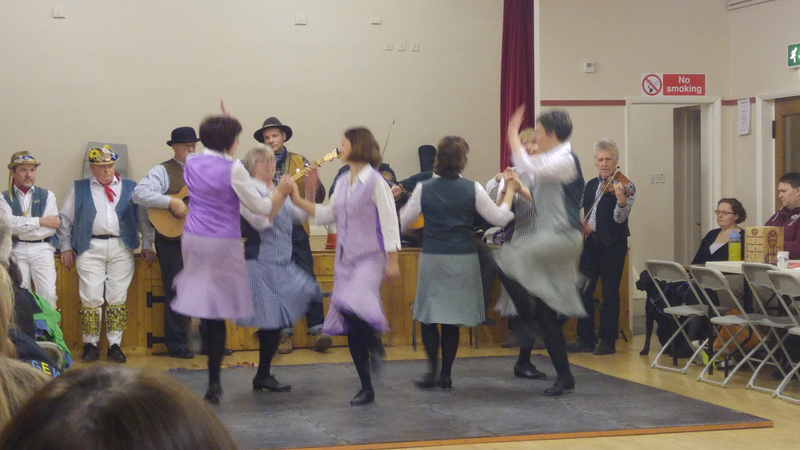 Each side performed two dances before dinner: Havoc’s first went off without a hitch; our second suffered a minor musical issue owing to an unfortunate stick-fiddle contact during the foot-up, but no-one seemed to notice the missing high notes. 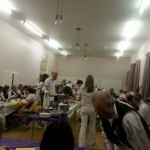 The food was very tasty (particularly the coconut chicken), and washed down with the three West Berks. beers on offer. 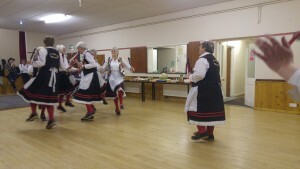 Spots after dinner included Owlswick’s “Knickers in the hedgerow” (an interesting take on Country Garden involving knickers rather than hankies), and a novel French Maids’ morris. 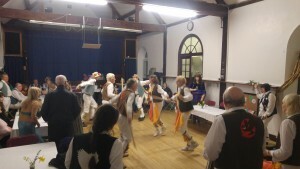 After a long day, the Havocs called it a night just as a massed dance was getting underway. 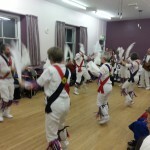 Thanks to Ducklington Morris for a fine evening of entertainment. This entry was posted in Ales, Dance Outs on December 1, 2013 by Mick Phillips.